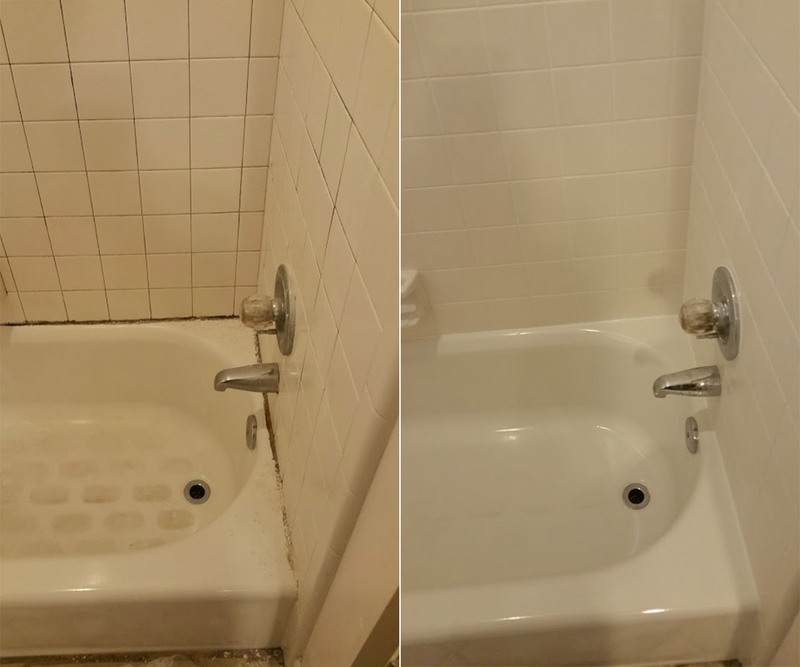 In need of a TRUE shower restoration? What Can We Do For Your Shower? Can’t get your shower clean? Leave it to us! Our clients are amazed with our results! With showers being one of our specialties, we have developed our own system for bringing life back to old showers, safely and affordably! With the average tile shower replacement costing anywhere from $4,000-10,000, we can often restore showers for a fraction of the cost. Perfect for homes about to be put up for sale, homeowners on a budget, home buyers, property managers, and much more! 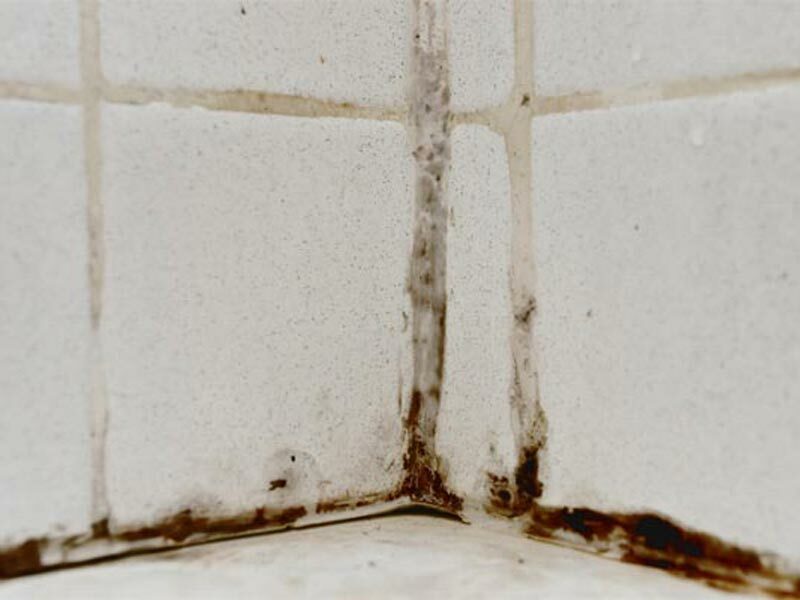 Toxic mold and mildew trapped in your caulking, grout and metal frame does not only look horrible, it also poses health risks. Mold and mildew is one of the first signs that the shower needs a deep clean, better maintenance, or has issues with venting/trapped moisture. Mold in your caulking is often the most difficult to remove as it typically grows from the back to the front, this means that most people try to remove the tip of the iceberg and then scratch their head when the mold comes back or they are unable to remove the staining. Removing the caulking and replacing it is the only option. 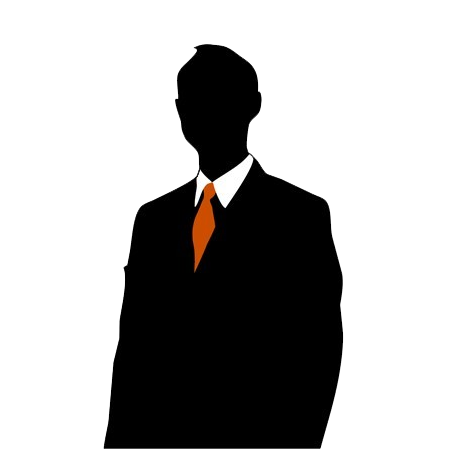 Killing mold is quick and easy, but stopping mold from growing in the first place is the tougher challenge. We provide some great information about how to keep your shower looking great after we complete your restoration so you can have you shower looking nice and clean again for years to come! Soap scum is nasty and foul smelling buildup of excess soap, hard water, body oils, dead skin, hair and grime. Commonly found around the perimeter of a shower, the layers of soap scum tend to build up slowly until it becomes something very difficult to remove. Mold and mildew love to feed on this buildup and often will change the color if left for a long period of time. This buildup also can begin deteriorating metal shower frames and weatherstripping found around your shower. Often we find buildups so large that the scum has literally ate the corner piece of a shower away! With an arsenal of different tools we can remove this buildup on most materials. 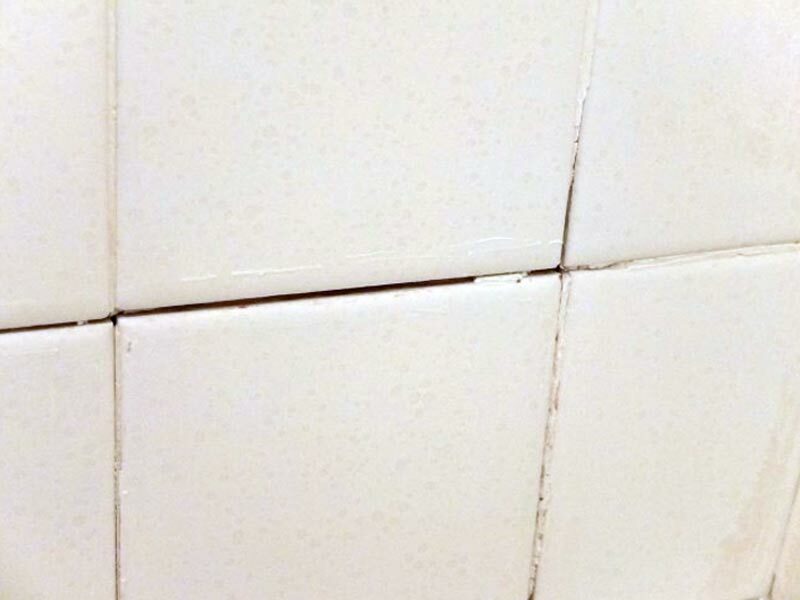 Cheaper plastic weatherstripping and cheaper shower frames often have irreversible damage and sometimes will need to be removed or replaced, but in most cases, soap scum can be safely removed and restored back to new condition. The Raleigh area is known to have very hard water – whether from the city or well water, the water is full of minerals which are prone to causing issues. After a shower, water is left to dry or vent away, but as the water evaporates it leaves behind these minerals forming into very difficult to remove hard water stains. Some can be wiped away with simple vinegar and water, others require much more muscle. Hard water staining can be present on tile, grout, metal, glass and pretty much every surface in your shower. We have tested hundreds of different compounds to remove these hard water stains and have come up with a great process to safely remove hard water even on delicate surfaces. 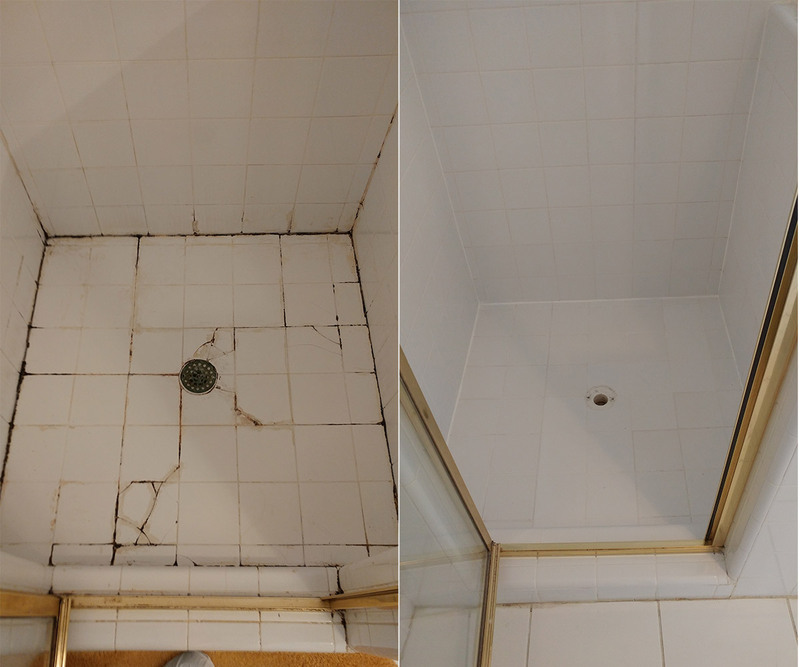 With our full shower restorations we can remove hard water from nearly any surface and then apply sealers to help prevent further hard water deposits. 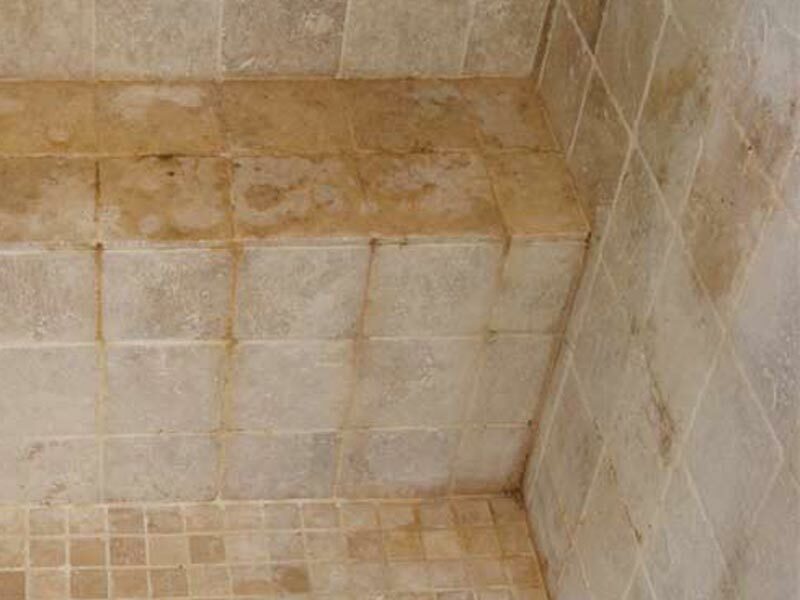 Rust and calcium are common issues for showers. Rust can be caused by many things and you should always find the area or cause of rust. Removing the stains itself is normally achievable, but it is pointless unless the underlying issue has been resolved. In most cases we find rust being caused by water penetration behind the tiles and rusting cheap wire meshes. There are plenty of other causes though and most of the stains can be removed either mechanically or chemically. Calcium buildup and efflorescence is also common in homes with extremely hard water or where there are issues with the shower pan. If the issues are purely cosmetic, we can remove nearly all types of damages caused by mineral buildup and efflorescence. 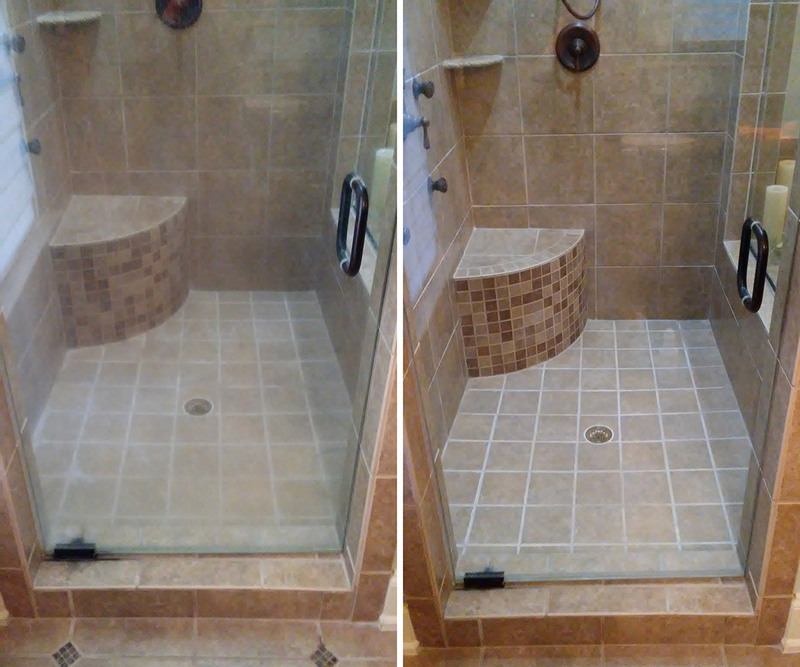 For the ultimate protection of your shower or bath enclosure we highly suggest epoxy grout. 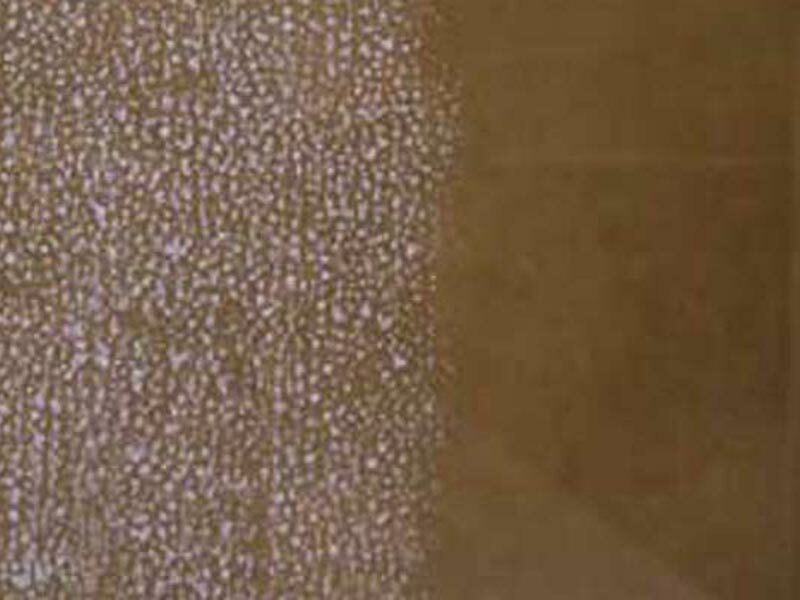 Epoxy grout stands up to harsh environment of your shower or bath enclosure much better than traditional cement based grout. 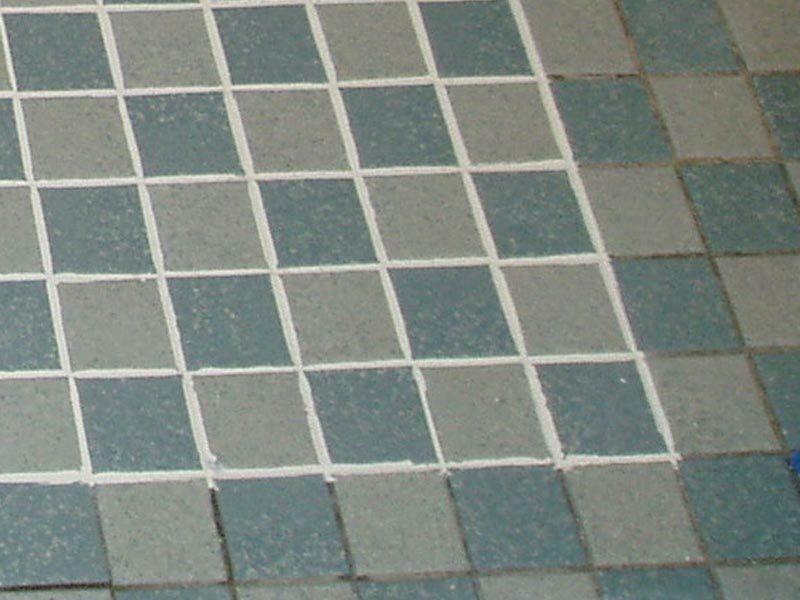 If you have issues with cracking, deteriorating, discolored, molded, leaking, or difficult to clean grout, epoxy grout is the solution! Check out our epoxy regrouting service!